All children develop differently. Your little athlete may excel in the younger age group for one discipline but blossom with the older kids for another. Our schedule is fluid. New classes are often added to accommodate family schedules. Your Taste of PBJ instructor can recommend a game plan that works best for your family. Before beginning group lessons you will schedule a private class to get a Taste of PBJ. Your child will sample our routines and acquire basic skills in a 1:1 or family class. Tasters allow us to design a child-centered program that will nurture each student's development. ​Don't see ongoing classes that work for you? Check out our "open" times that can become any level. ﻿Yoga Wiggle- Preschoolers will learn simple yoga poses in a kind and forgiving environment. We will use our imaginations to become elephants at the zoo or airplanes in the sky. Kids will get moving with active songs and games. Early breathing exercises will be introduced to help calm young minds and relax little bodies. Yoga Breathe- Offers Predictable routine with chanting, breathwork, and attention to technique. Calming atmosphere with fewer distractions and slower tempo than Wiggle classes. Poses are adapted to be accessible to every body. Yoga Breathe classes are only available as private lessons at this age to ensure your little one's safety. Our schedule is fluid. New times are often added to accommodate family schedules. 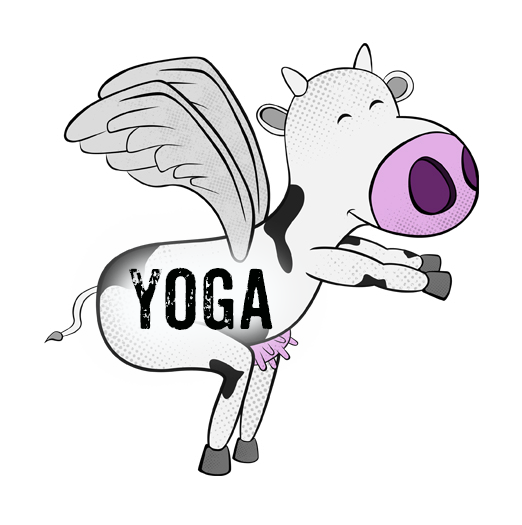 Flying Cow Red-New climbers will be introduced to bouldering (low climbing without a rope) and toproping in a fun environment. Modified climbing terminology and concepts will be discussed and applied in each class. Students will learn to safely navigate a climbing gym. Flying Cow Yellow-In this intermediate level class, children will learn to choose appropriate climbs for their skill level. Projecting games (climbing a route repeatedly to work through difficult sections) will encourage perseverance and hard work through active play. 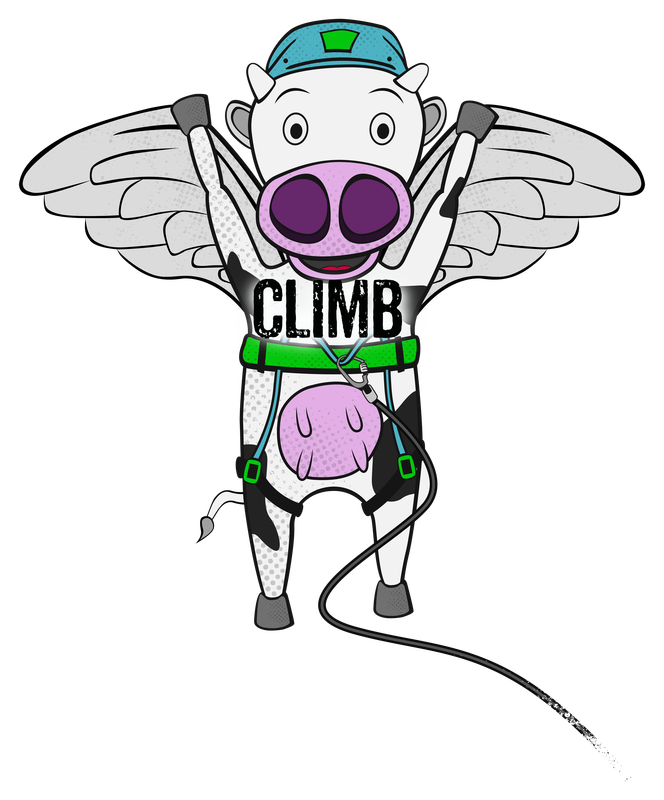 Flying Cow Green-Young climbers who are comfortable in the gym will take their skills to the next level. Students will apply critical thinking skills in order to climb harder grades. Students will begin to grasp the concept of belaying another climber and become familiar with climbing gear. Private lessons are available for students who may need 1:1 attention. Your Taste of PBJ instructor can recommend the best fit for your child. Adaptive students with limited mobility may require a friend or family member (over the age of 12) to participate in classes. Companion belay classes are available prior to the participant's first class. Flying Cow 1-This is a water introduction class where students will progress from putting their faces in the water to using swimming arms back to the steps. They will practice floating on their back and learn elementary backstroke. They will also learn how to swim to the wall if they were to ever fall in a pool. Our instructors are adept in making scared swimmers comfortable, but you are welcome to join Turtle Tots 1 or private lessons if you feel your child will require parent participation. 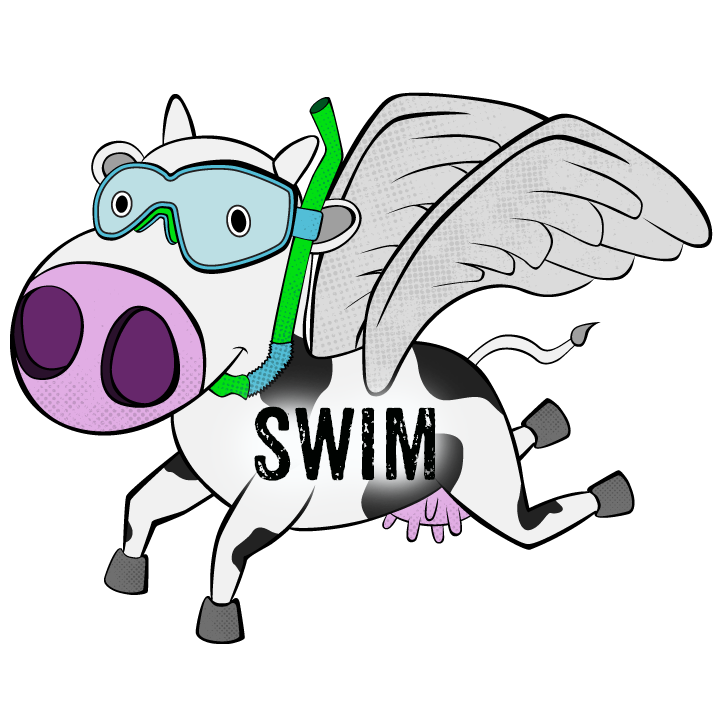 Flying Cow 2-In this class, students will start swimming longer distances from the steps to the instructor. They will also learn the swim-float-swim method where they will be rolling onto their back to take a breath in order to swim safely by themselves. Flying Cow 3-In this intermediate level class, students will progress to rolling onto their back without the assistance of the instructor. They will begin to learn the backstroke and should be able to swim the length of the pool with very little assistance. Flying Cow 4-Side breathing will now be introduced to replace the rolling over so that they will be able to swim by themselves for longer distances. By the end of level 4 they should be swimming the length of the pool in freestyle and elementary backstroke by themselves. Flying Cow 5- Advanced swimmers who are comfortable swimming on their own work on their independent freestyle breathing as well as honing their skills in all 4 competitive strokes. ​Private lessons are available for students who may need 1:1 attention. Your Taste of PBJ instructor can recommend the best fit for your child.